Signature Living craft luxury weddings with a unique twist. 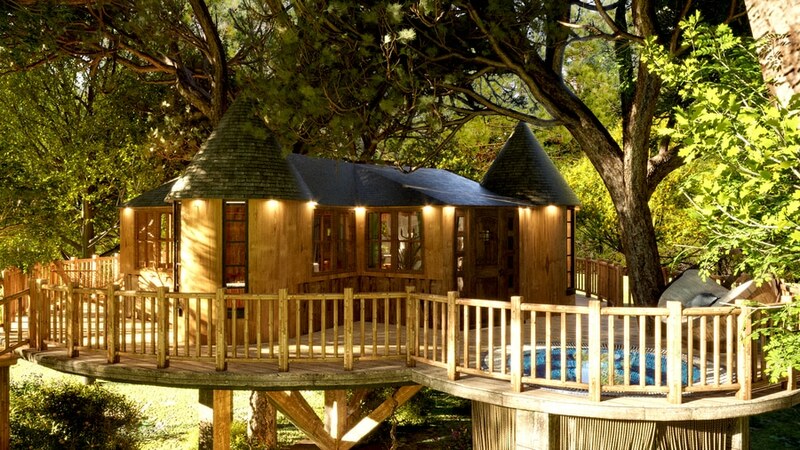 And our upcoming woodland wedding venue is one that we’re sure you’ll love as much as we do! Rainhill Hall will showcase our passion for heritage buildings from a whole new angle. This scenic woodland wedding location is home to Grade II listed country house (formerly Loyola Hall), sitting amongst vast greenery and enchanting woodland. The house itself dates back to 1824 and will be carefully preserved and restored by our expert team. The historic venue offers a blend of timeless character and contemporary charm, set to impress as you bring loved ones together. Rainhill Hall is a grand country house with breathtaking interior details. The hall’s beautiful indoor venue is an idyllic location to celebrate your special day in style. Adorned by glistening chandeliers and stained glass windows, this versatile space can be made your own with personalised touches. Your wedding party will also have the opportunity to stay within the venue in deluxe rooms designed with style and comfort in mind. Our dedicated team of wedding coordinators can craft your dream wedding from a blank canvas, adding a sprinkle of the wow to your occasion. Our bespoke wedding packages can incorporate everything you’re wishing for at the best price. Those with a love for the great outdoors can also opt for an enchanting woodland wedding. 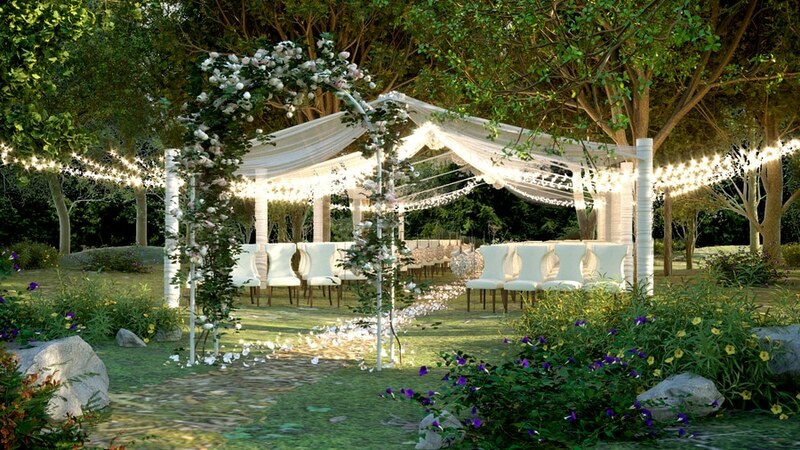 Rainhill Hall’s gardens will be transformed into a magical setting to say ‘I do’. Rainhill Hall will play host to magical woodland weddings. The versatile grounds can be tailored exclusively to your event. 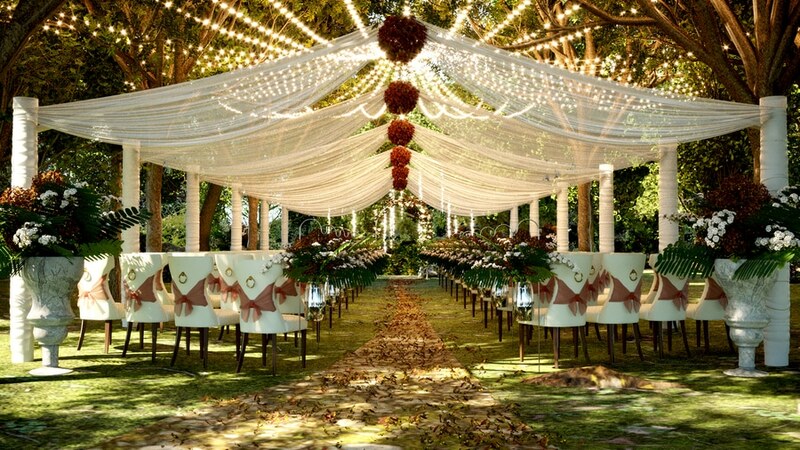 From twinkling lights to romantic florals, we can tailor this fairy tale space to you. You’ll also be able to choose from an array of entertainment for a spectacular atmosphere. 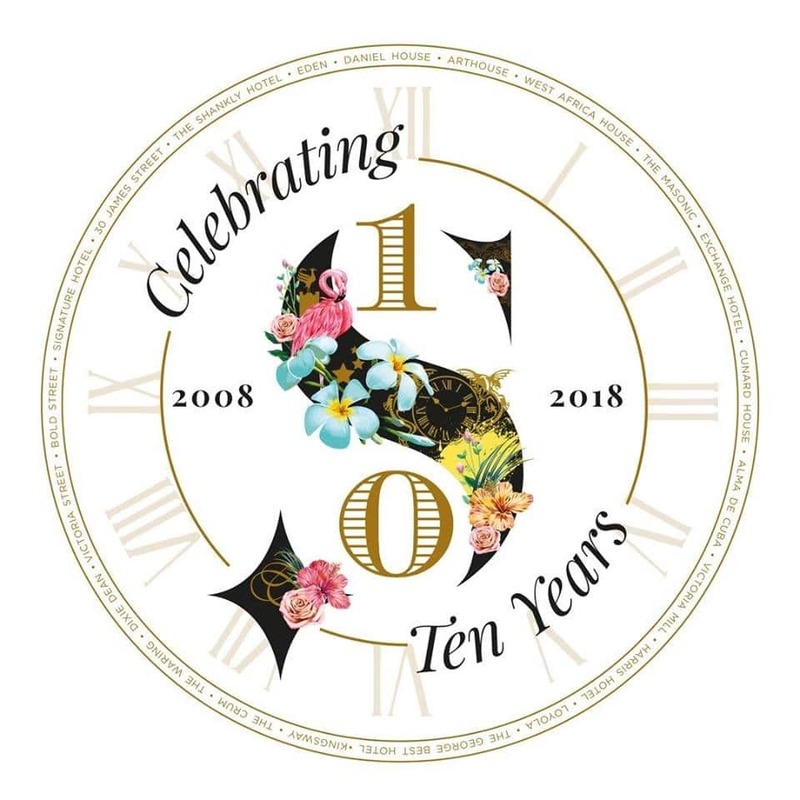 A Signature Living wedding can include everything from breathtaking ballerinas to talented harpists, soulful jazz bands, shimmering samba dancers and even the sparks of fireworks. To be one of the first to say ‘I do’ at woodland wedding venue Rainhill Hall, make sure you get in touch by completing our online enquiry form. Your woodland wedding party can enjoy a relaxing stay surrounded by twisting trees and greenery with a stay in our woodland cabins. Our rustic cabins offer luxury facilities, with each including their very own cosy hot tub. 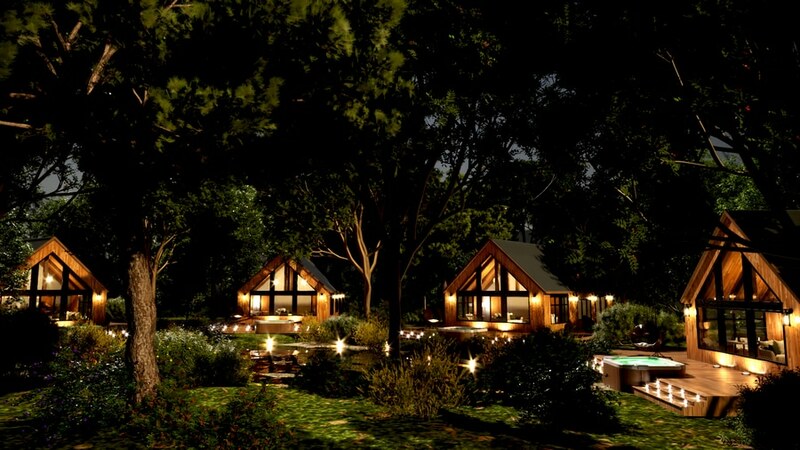 Our woodland cabins are ideal for hosting your wedding party guests. Why not opt for this charming alternative to traditional accommodation? 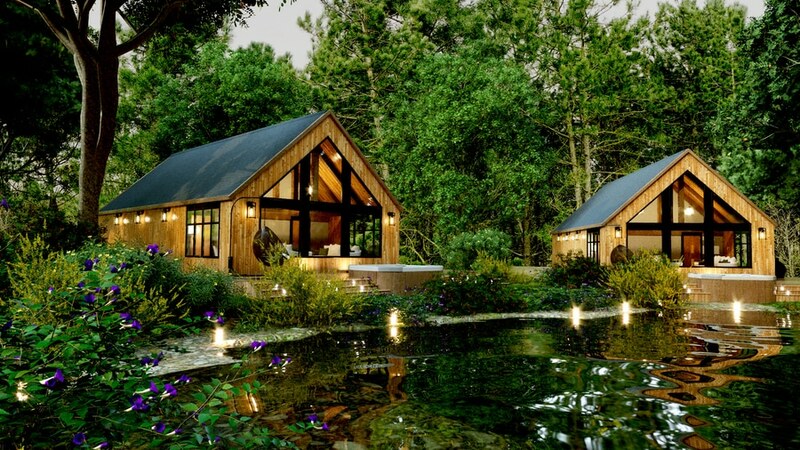 Perfect for accommodating the bridesmaids, groomsmen and your family, our picture-perfect cabins create the feel of a secluded woodland retreat. 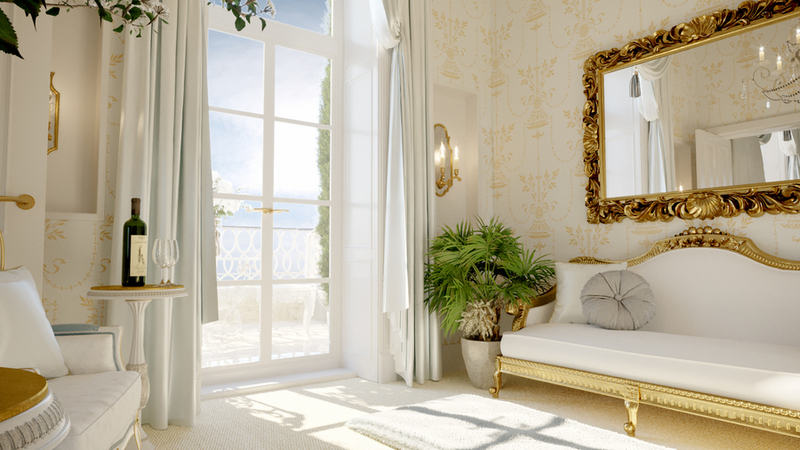 Of course, when it came to designing the Bridal Suite, we wanted to think outside the box. 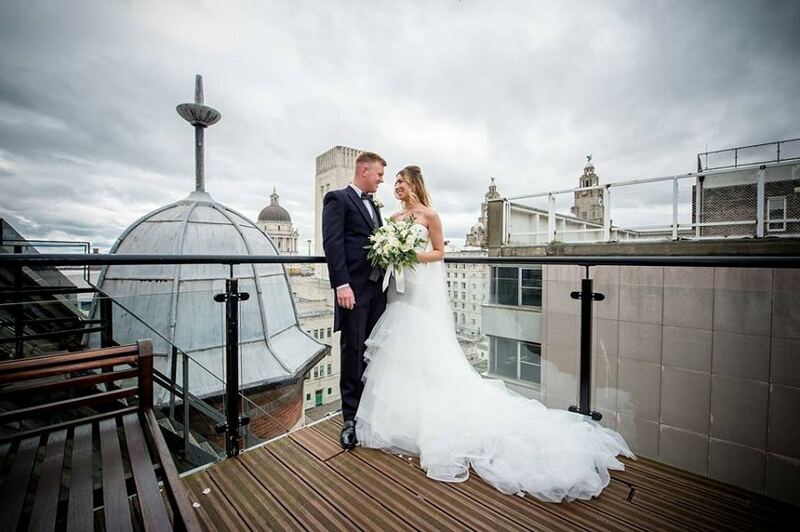 Rainhill Hall will offer newlyweds the chance to stay up high in our treetop Bridal Suite. Our Bridal Suite is an idyllic spot to spend your wedding night. You can look forward to luxury facilities and exquisite decor set to impress from every angle. 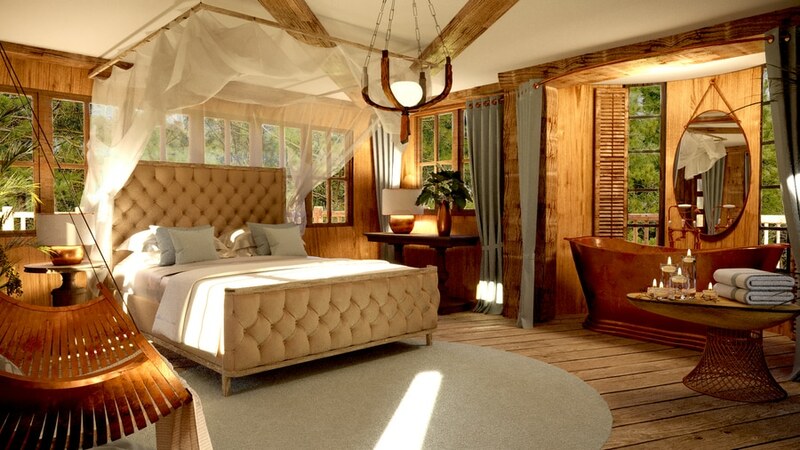 Your romantic stay will be completely your own, with only the sweet sounds of nature for company. What better way to spend some quality time with your other half? The happy couple can also opt to stay inside the historic hall. Rainhill Hall’s breathtaking Bridal Suite will be beautifully decorated with plush furnishings and intricate detailing for a romantic finish. 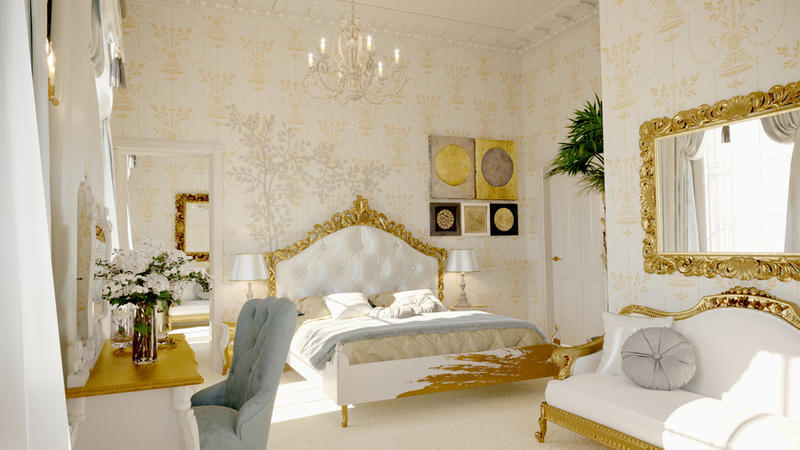 A first look at Rainhill Hall’s Bridal Suite. 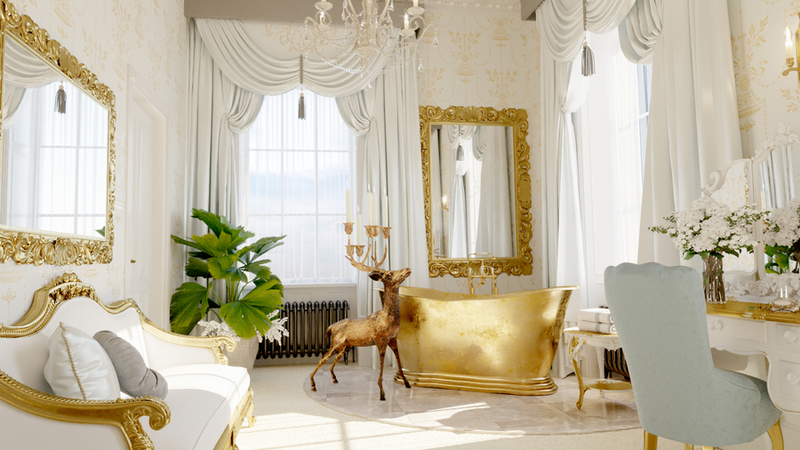 Not forgetting, the hall’s Bridal Suite is also set to be home to an indulgent freestanding bath tub for relaxing in style. This bright and spacious suite is the perfect space for enjoying each other’s company in between the wedding celebrations. Allowing rays of natural sunlight to shine through, the suite also features beautiful windows leading out to a scenic balcony. Signature Living Weddings are designed with a difference. 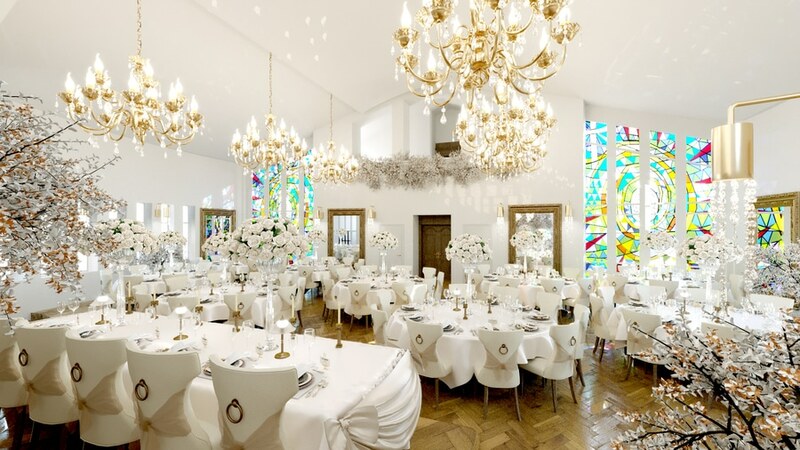 Our dedicated wedding coordinators specialise in bringing your dream day to life. Whether you go for classic and elegant, eccentric and extravagant or somewhere in between, our expert team can make it happen! If you’re planning your special day, why not take a read of our guide to wedding readings? Our selection of witty and romantic readings are sure to make your guests laugh and cry! We have a wide range of wedding packages to choose from, ensuring that your day includes everything you could wish for! To find out more or to enquire about a woodland wedding at Rainhill Hall, you can reach our wedding team on 0151 305 3753 or complete our online contact form. You can also keep up with the latest news surrounding the venue over on Facebook.